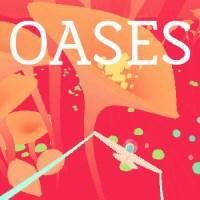 Originally made for the 2015 Now Play This exhibition on experimental game design, OASES is a meditative art piece that imagines what might have happened to the creator’s grandfather when his plane was lost in Algeria in 1960. There isn’t a lot to it - the plane goes through a rainbow portal into one of a few colorfully surreal landscapes, which the player can fly around for a while before going back to the menu. The visuals are beautiful and trippy, accompanied by an electronic soundtrack that conveys a sense of wonder. The flight controls are slightly more complex and realistic than one might expect, contrasting with the dreamy backdrop - it reminds you you’re playing a fantasy about a real person. But there’s no real depth or insight into the creator or the grandfather. All there is to do is see what dreamscapes the creator came up with and muse on the bizarre banality of the fact that our ancestors lived full, complex lives and we never got to meet most of them. I Stopped Playing When: I played for twenty minutes or so until the areas started to repeat.